In the beauty world, you see products that contain “skin-identical” natural moisturising factors like hyaluronic acid, amino acids and ceramides that help protect the skin from environmental aggressors. 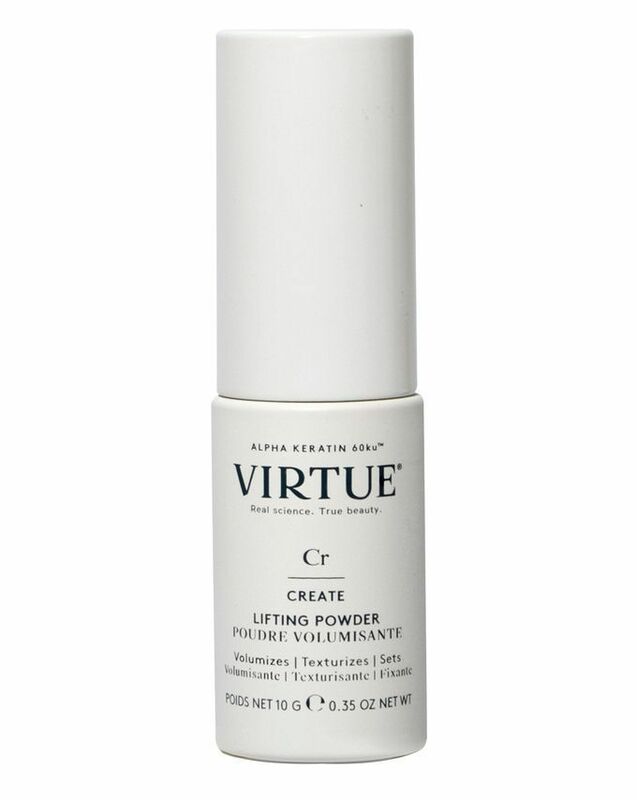 Well, Virtue’s products are built with that key ingredient. This “hair identical” keratin smoothes each strand, resurfacing and filling the cracks to bolster the integrity of the hair, preventing moisture loss that can prematurely age it. 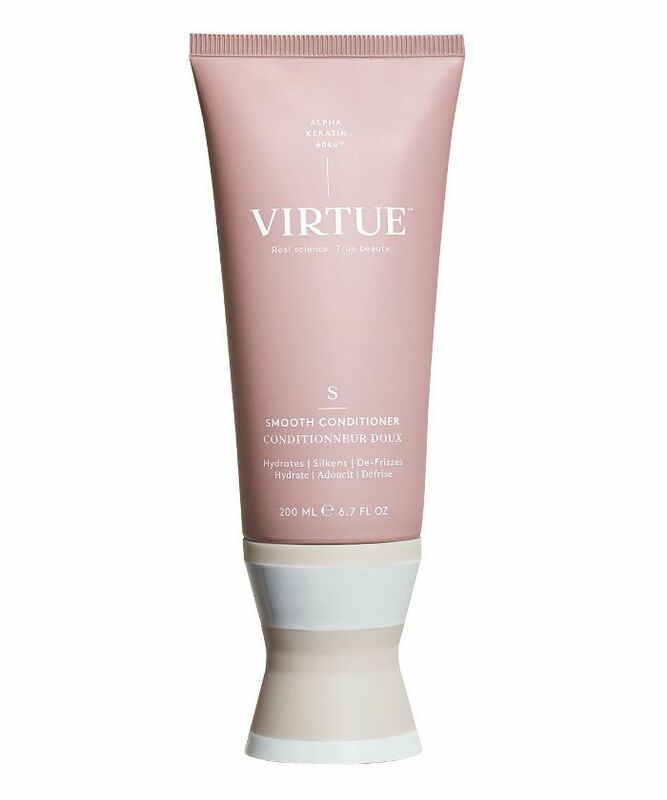 Think smooth, shiny supple hair as opposed to dry, brittle, dull strands. I met with Abergel to talk all things hair, and instead of asking my own questions, I opened it up to our Facebook group, The British Beauty Line, for some of our readers’ most pressing questions. Keep scrolling for this super-insightful interview where the celeb hairstylist helps me understand how to blow-dry my own hair, stave off hair ageing and fight frizz like a pro. It starts right at the beginning in the shower. If you’re someone who tends to have frizz in their hair, don’t skip using a conditioner—ever. 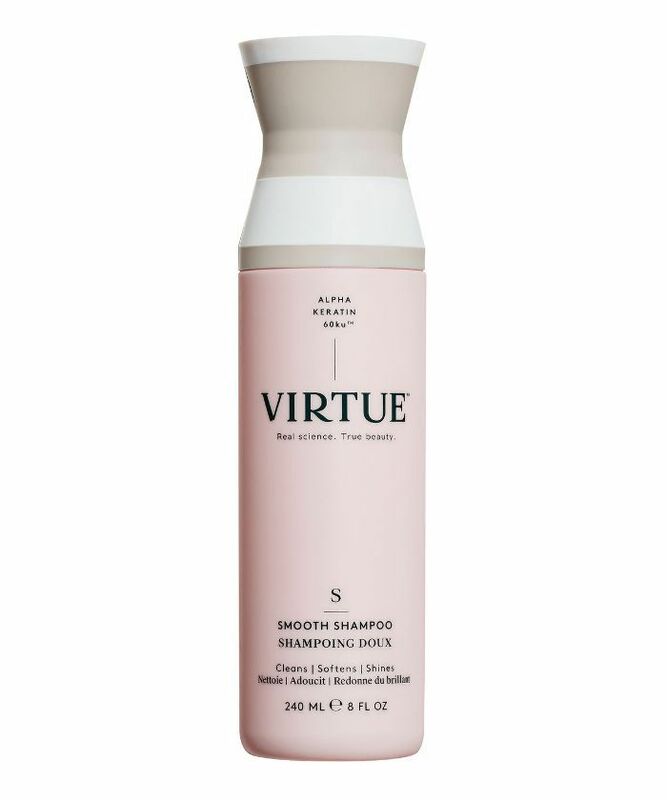 Using a shampoo like our Smooth Shampoo and Conditioner is incredibly important. 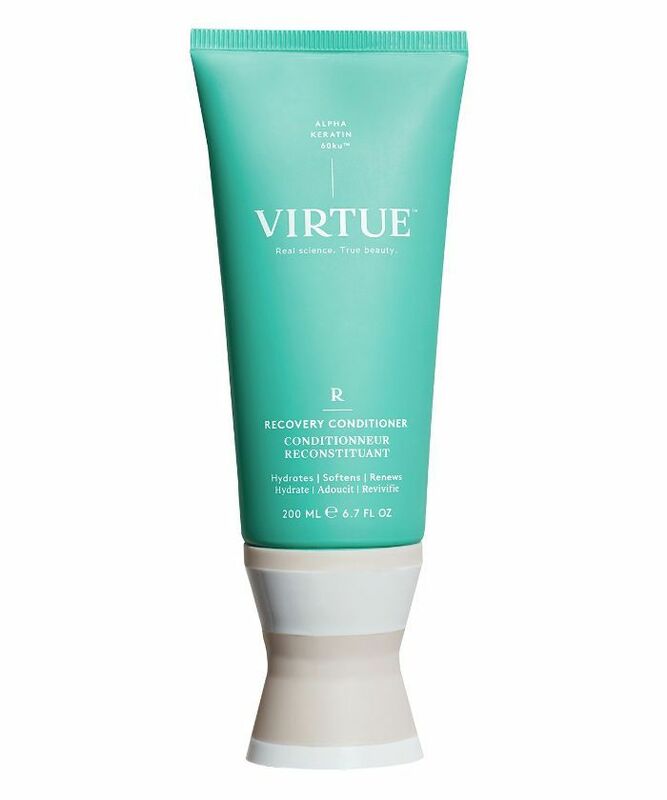 It’s like almost saying, “How do I deal with acne?” It’s like, start with the right cleanser. Next, don’t use a traditional towel to dry your hair—use a microfibre towel. Don’t push it back and forth to create traction, either. Instead, twist your hair up in the towel and let it soak up as much of the water as possible. Let it air-dry as much as possible prior to using heat on it, and use products that help with humidity (in our line, we have the Unfrizz Cream). Also, use some kind of lightweight cream that’ll give you the right amount of protection from the extra moisture out in the world. Then, when you’re sleeping, use a silk pillowcase to limit traction, as it can cause frizz. Don’t put your curling iron higher than 176 degrees Celsius. I would say that a great way to make sure you’re curling properly is to tilt your head to the side. You always want your arm to be over your head with the iron vertical and going down. Wrap the hair around the tong, hold for three seconds, release it, and then tug. This will get you a beautiful, loose, relaxed wave. You have more control when you tilt your head. Straight-up, our shampoos, conditioners and mask. They’re like nothing else. The protein gives it the shine. Every other keratin product in the market contains an animal by-product that contains broken down amino acids. We’ve seen so much growth in skincare but rarely in haircare. Innovation, most of the time, comes from somewhere else. In fact, Botox was discovered for the face (and for beauty reasons) through muscle dystrophy. Similarly, our keratin concept came from wound healing. A man named Luke Burnett saw all his brothers and sisters dying on the battlefield, and as a scientist, he wanted to find a way to repair and regenerate the skin. Someone was working in his lab whose family was in the haircare industry, and she said to him, “If it’s repairing skin, why would this not work on hair?” and he told her to have a go at it. The scientific results were so insane that it repaired the hair to a virgin state. This is where it’s different, though: The molecule size of the keratin we use is the same size as the protein in our hair, so it fits in perfectly and repairs the hair. I don’t even need to sell this to anybody. The minute you use the shampoos and conditioners and the mask, you’re going to see the difference. 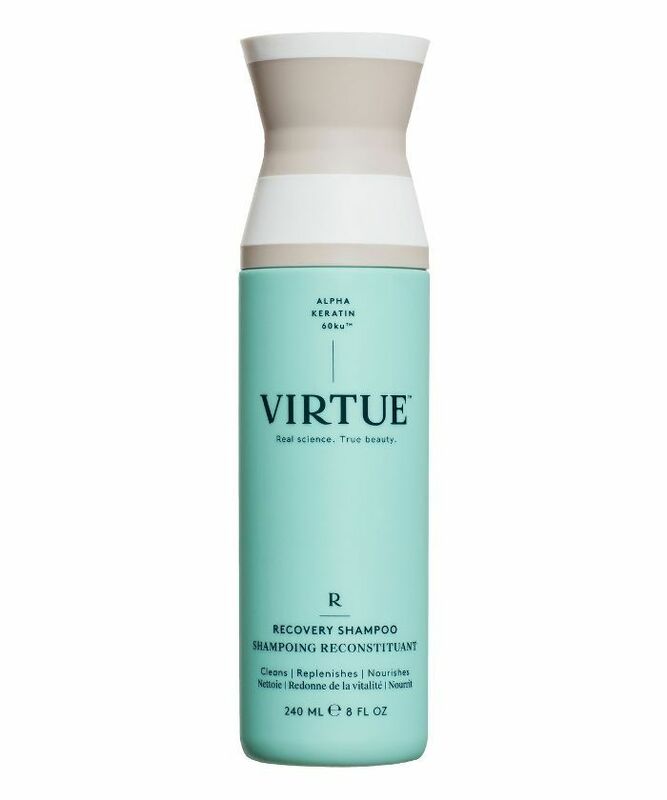 Most shampoos and conditioners are about cleansing and coating, but for the first time, you have a shampoo and conditioner that is repairing and restoring. It’s not doing the traditional things that your traditional shampoos and conditioners do. Famous colourist Nicola Clarke called me, and she was like, “This is changing my client’s hair.” It retains more moisture in your hair because your hair is healthier, so you get more elasticity. When you have more elasticity, you have more shine. Dry shampoo. That’s a big one. Put your dry shampoo in before bed so it soaks up all the oils throughout the night. Also, before you go to bed (on the night of having your blow-dry), throw your hair up into a very loose topknot. This is where your old-school scrunchie comes in. One of the best tricks is to—before you blow-dry—use a volumiser or something to create memory at the root. I love using Kusco Murphy Setting Lotion because it gives you the right foundation. 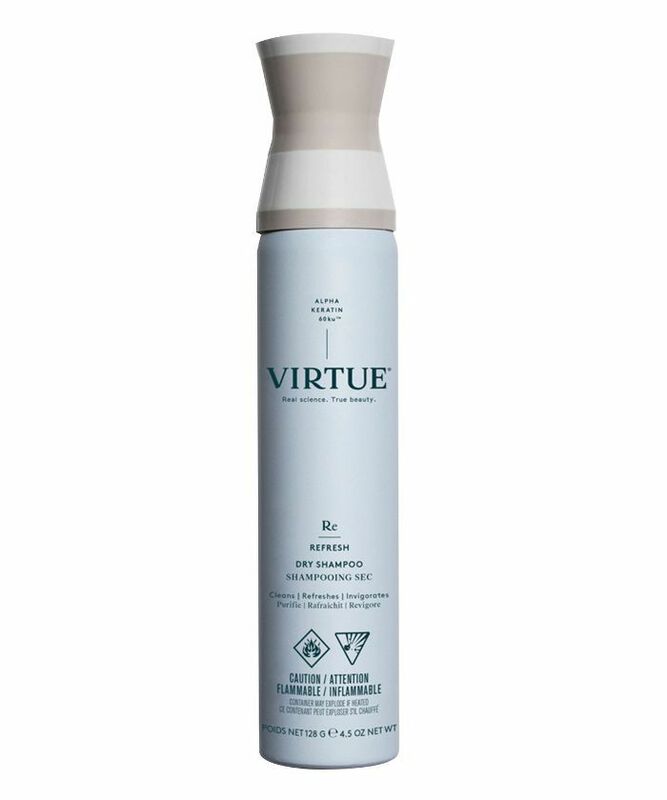 A great blow-dry is about the right foundation. Think about a building: If you don’t create the right foundation, it will collapse. Next tip: Don’t use high heat to dry your hair. Use medium heat and dry your hair to 90%. If you use high heat, you’ll overstretch the hair, and you’re not going to get any kind of bounce out of it. If you use cold to medium air, you’re going to get more out of your natural waves and movement. Then, using a round brush, direct the hair. Put your head down, section the middle and take the two inches at the front. Roll it around the brush put heat on it (don’t take out the round brush, just leave it to cool), and then remove it. That’s it. Just do three sections on top, and you can leave the rest to air-dry. All that hair you have blow-dried sits on top and looks more natural if the rest is air-dried. It should take you no more than 15 minutes. A lot of people like wire brushes, but I don’t like them. I like brushes that have a combination of nylon and boar bristles. The nylon creates traction and the boar bristle creates the shine. I use Ibiza brushes (they also have a cork handle, so they’re super light). Do invest in a great brush; it’s going to last you 20 years. Don’t be cheap about your round brush. You won’t need to repurchase a new one if you buy the right one the first time around. I love Olaplex. I think Olaplex has its place as well. 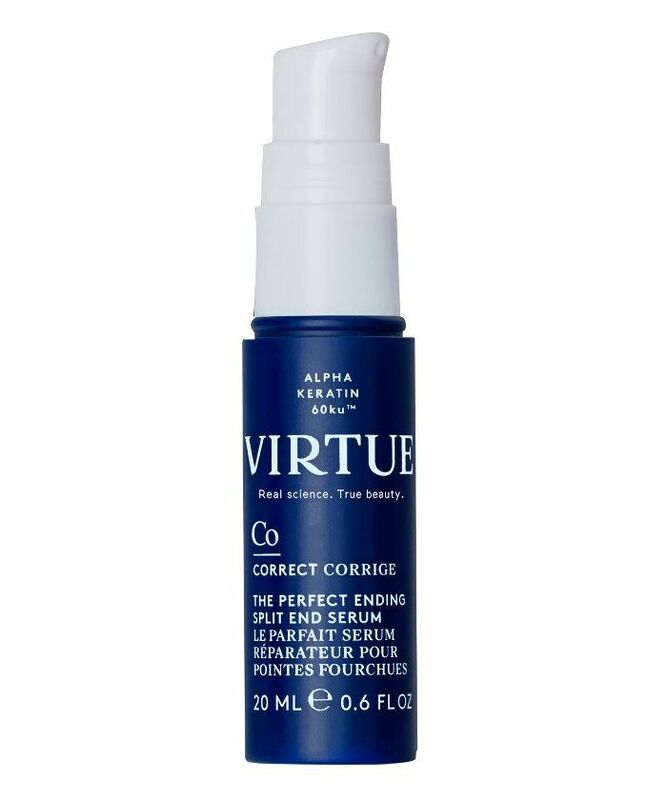 Virtue is truly going in and filling in the cuticle, whereas Olaplex rebonds it in a different way. 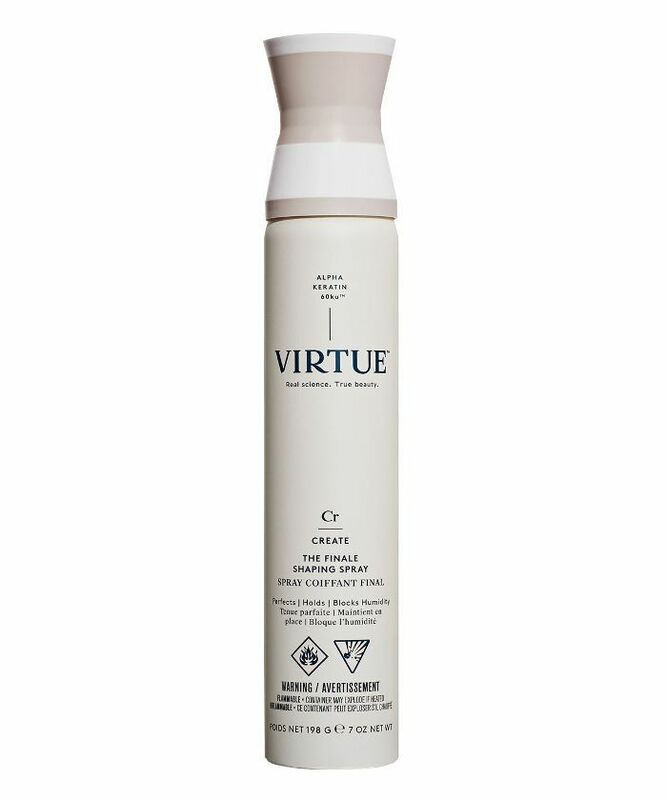 Virtue can be used with Olaplex. Either use our shampoo and conditioner and their mask or vice versa. Hair ageing has to do with lack of moisture, lustre and loss of melanin in the hair. You’re starting to get more brittleness, so it’s about creating a great environment for it to have the best chance to shine and bounce and have hydration. Use a mask once or twice a week, and use the right shampoo and conditioner. 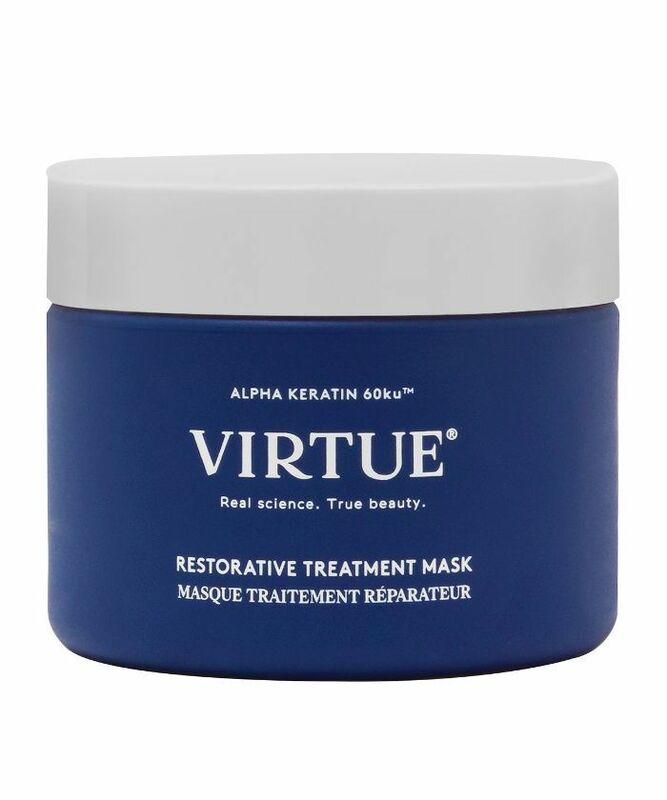 Our Restorative Treatment Mask is truly one of my favourites. You use it once or twice a week, and you’re going to see a huge difference in your hair. Start with a healthy scalp. I think people think they should only wash their hair once a week. Your scalp is a living breathing organism just like your face. You also need great stimulation. Getting enough blood flow around the follicles so scalp brushing is key. There are great products like Regaine, which works incredibly well to reactivate hair growth. Taking biotins and omegas are really wonderful for hair. Having a great diet and eating enough omegas is also good. It starts from the inside out. At this point, there really isn’t a whole lot out there. Probably not. My favourite way to get natural undone waves is when your hair is about 80% dry and you throw it up into a topknot. Twist the ponytail completely; then twist it around into a bun and leave the ends out. Let it dry completely. I love using our mousse prior to doing that; it’s a conditioning mousse, so it’s more about moisture than hold. Unless you have thick hair that tends to be heavy, it doesn’t look great. It looks great when you have thicker hair like my friends who are Indian or Asian (their hair is thicker and has weight). For fine hair, I still don’t think we’ve perfected it yet. Choose this shampoo and conditioner duo if your hair is dry or damaged, be it from colour or heat styling. Packed with hydrolysed quinoa to boost moisture retention and shine, as well as antioxidant-rich grapefruit extract to protect your hair. The Smooth duo is best for hair that’s frizzy and medium to thick. It works to seal each strand of hair to lock out humidity that leads to frizz whilst also working to ramp up shine. 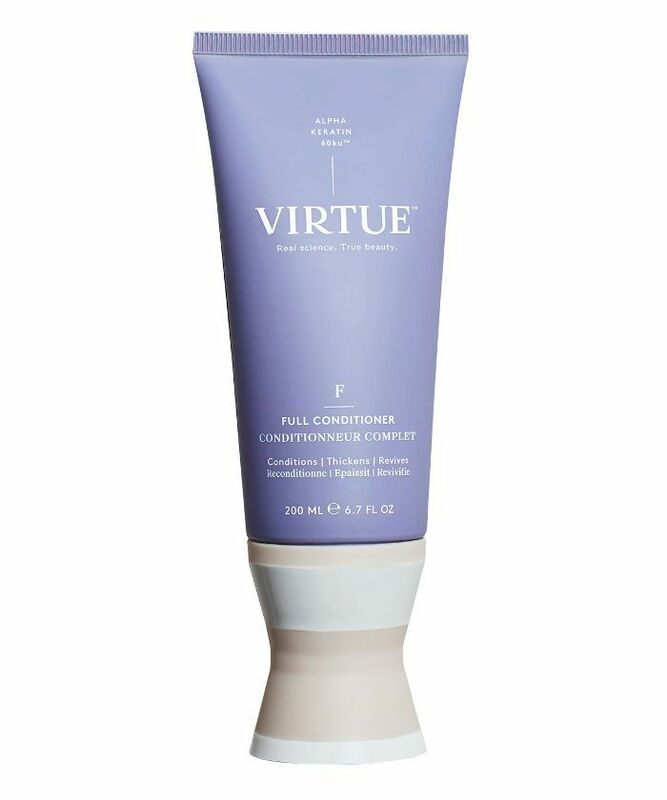 For fine, flat hair that won’t hold a style, you need to start your routine with this shampoo and conditioner. They work to lift away excess oil and plumping out each strand of hair so it looks thicker and fuller. 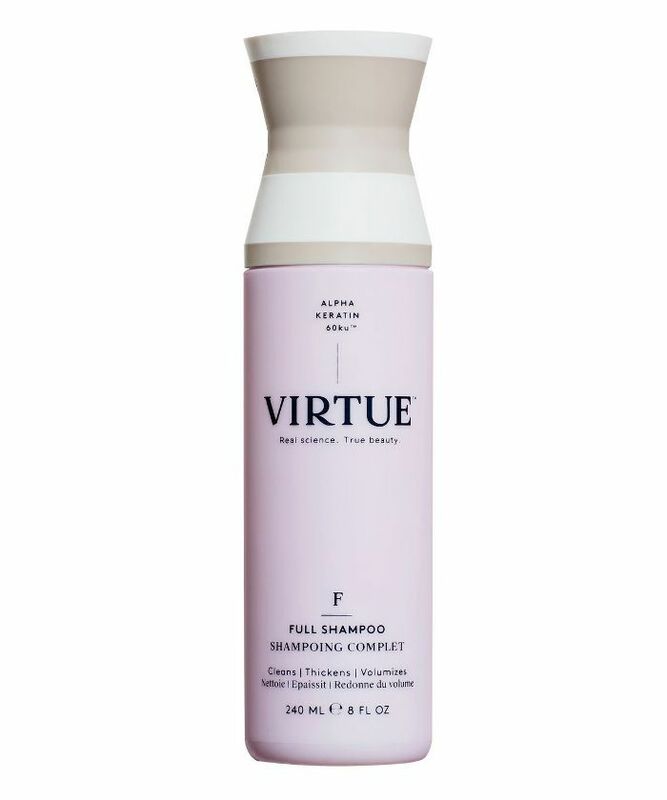 The shampoo even works at the scalp to lift the hair at the root. Described as a “big hug for hair,” this mask is super quick to use (you only need to leave it on for two to three minutes), which means you can easily squeeze it in during a shower. As well as keratin, this contains brown algae extract to repair and provide heat protection; amaranthus seed extract to enhance colour, aid moisture retention and boost shine; and baobab seed oil to leave the hair silky soft. artichoke lead extract protect the hair cuticle to prevent environmental aggressors like pollution getting in. Apply this cream to towel-dried hair (mid-length to ends) and it will offer everything from heat protection to polish to hydration. It even blocks out frizz-inducing humidity. 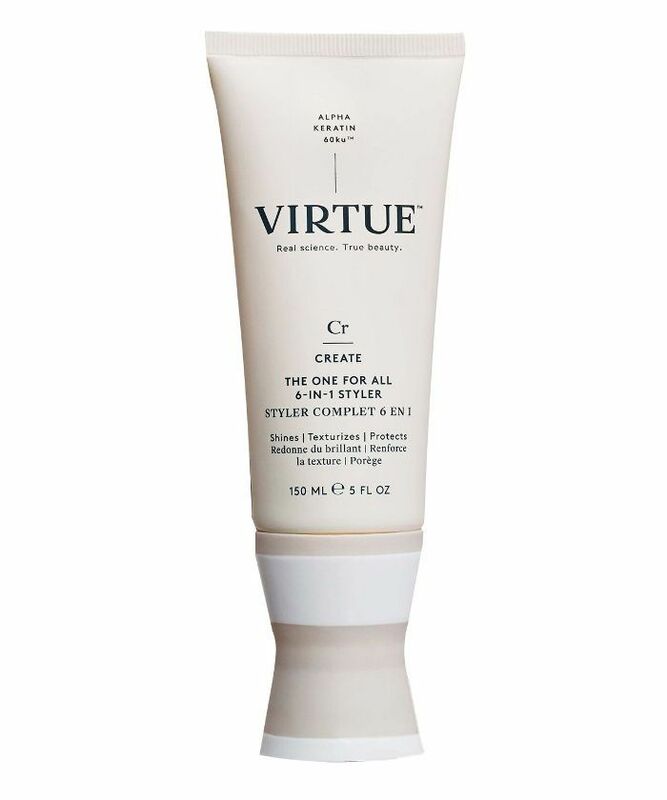 A cream that boosts shine, blocks out moisture (that causes frizz) and tames flyaways? What more could you want? It comes in a mini size, so it’s handy for travelling or popping in your handbag. Because this has a pump applicator, you can easily target it onto the roots. It absorbs oil and offers a long-lasting lift. This frizz-blocking hair spray offers touchable hold, shine, heat protection and moisture. It's basically the boffin of all hairsprays. 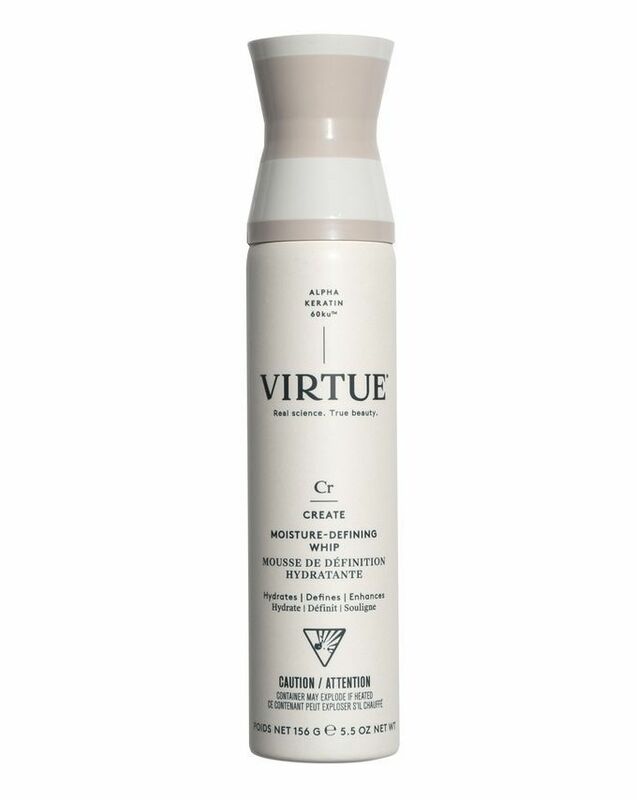 Totally invisible this dry shampoo soaks up oil, sweat, odour and dirt without leaving any unsightly residue or that dry, powdery feel. It imparts a seriously fresh and clean smell as well. Use this when air-drying curly or wavy hair to reduce frizz and boost shine. You can also use it on second-day day hair to revive your style. If you struggle with split ends use this serum to prevent further fraying. 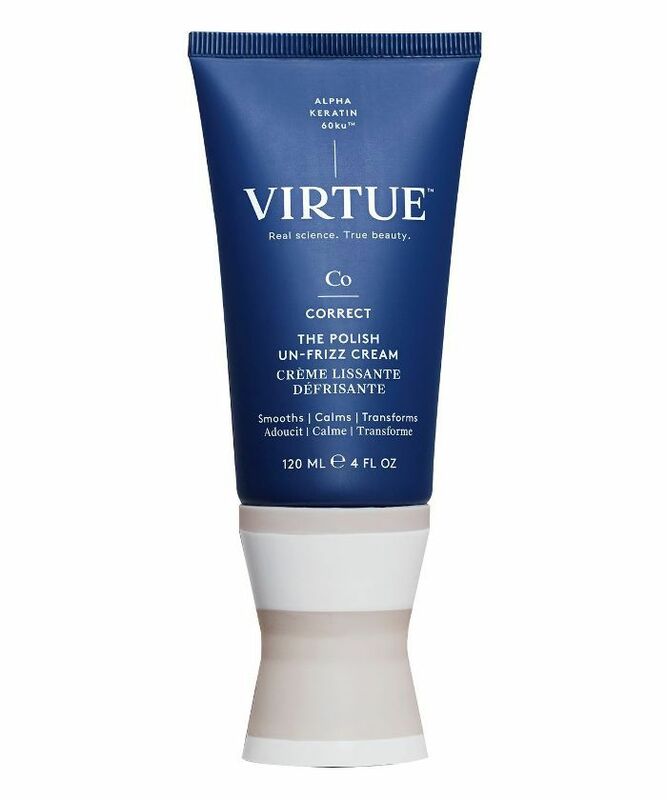 It can also be used to soften, smooth and strengthen any damaged areas. If you struggle with split ends, use this serum to prevent further fraying. It can also be used to soften, smooth and strengthen any damaged areas. In the mood for a cut? Here are 60+ short hairstyles to inspire you.